Centon Electronics, Inc. has announced the release of their SATA III 2.5 line. While SSD has become a standard specification for enthusiast PC gamers owing to its features including high-speed read/write performance and high shock resistance that can break through the performance bottleneck of PC systems, the introduction of SATA III SSDs further highlights the advantage of SSD’s read/write performance. Twice as fast as the SATA II, Centon’s new line of SATA III will take full advantage of the bandwidth and provide extremely fast data transfer rates that reach as high as 400 MB/s read speed and 300 MB/s write speed. Centon’s SSD models now address the growing market demand for fast, high density and reliable drives. 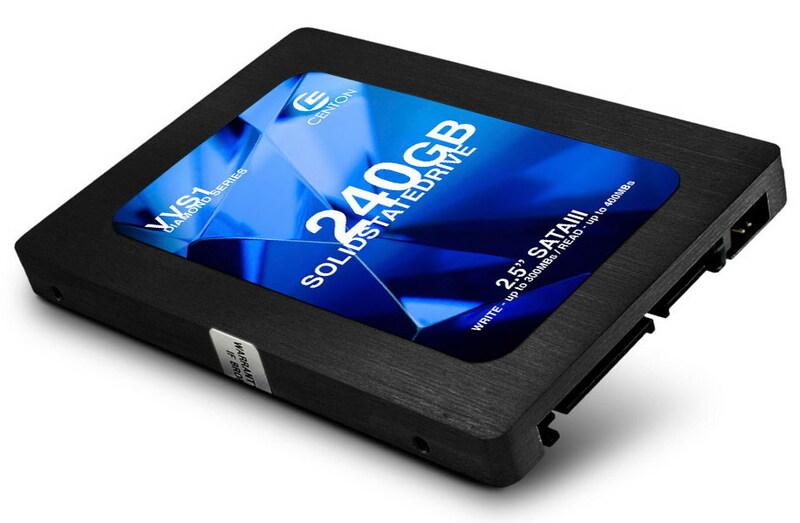 The 2.5 inch form factor allows the SSD to be used in pretty much any facet. Customers can service the drive and scale the performance without having to power down the entire unit. Centon’s new SSD line utilizes a Sand Force controller that accommodates any end user’s requirements.